Is there a deposit to reserve my session? Since we do not specialize in just one type of photography, we have several options to choose from for each type of session. Starting investment for portrait sessions is $299, we do run promotions from time to time and mini sessions for special holidays. Let’s chat, we are happy to forward you our packages just do us a favor and send us an email here to find out more. How will I receive my finished images & when will they be ready? We use a program called “Shootproof” which allows us to digitally upload your images in full high resolution to be instantly delivered to you, no need to wait for a disk/USB, once you receive your Shootproof gallery invite you can instantly share with friends & family. Once a date has been reserved for your session, your photographer will contact you to also schedule an in person meeting to discuss all the details of your session (Skype or FaceTime if you are visiting our lovely city) to include wardrobe ideas, locations and review the online process of choosing your images & downloading. Three days after your session you will receive an invitation to view your proofing gallery where you will be making your final decisions on your favorite images. The time it takes to deliver the final images will mostly depend on how quickly you choose your images, the entire process for final gallery delivery typically takes an average of 2 weeks. Print orders 1-2 weeks from final gallery delivery. Event photography to include weddings & quinceañeras work differently. Please contact us for details. Where do the photo-shoots take place? Yes, It’s a really great gift for just about everyone & great for a million personal different occasions. 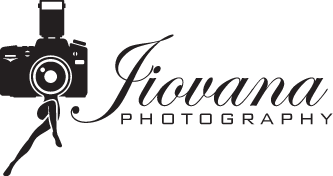 Families, holidays, new additions to family, pregnancy, graduation gift (senior portraits), an engagement session (makes a great wedding gift) or print & product credit for someone who has already booked a session. When should I get maternity photos taken? We recommend scheduling your maternity session during your 28-34 weeks. When should I take my newborn photos & what to expect? Newborns are best photographed within the first 14 days of life. Therefore reserving sessions prior to due date is recommended. If your newborn arrives early or late, I will work to reschedule your session as early as possible. It is important to capture all the newness of your baby. They have tiny, clenched hands and newborn curl. During your newborn session, time is allotted for breaks, keeping a relaxed mood for everyone concerned. Newborn photography is such a lovely aspect of my work. As your newborn photographer my goal is to create wonderful portraits of your newborn within an environment which is relaxing and enjoyable. * deposits are different for weddings and mini session specials. Please contact me for details. *A contract is required for all sessions and will be provided to you electronically at time of booking.